Nestled in the hills of a 300-acre property in Northwestern Connecticut, this house was originally intended to be just a brief stopping point for the homeowners. They purchased the large farm adjacent to the property and planned to live here only while building a larger weekend country house on the land. 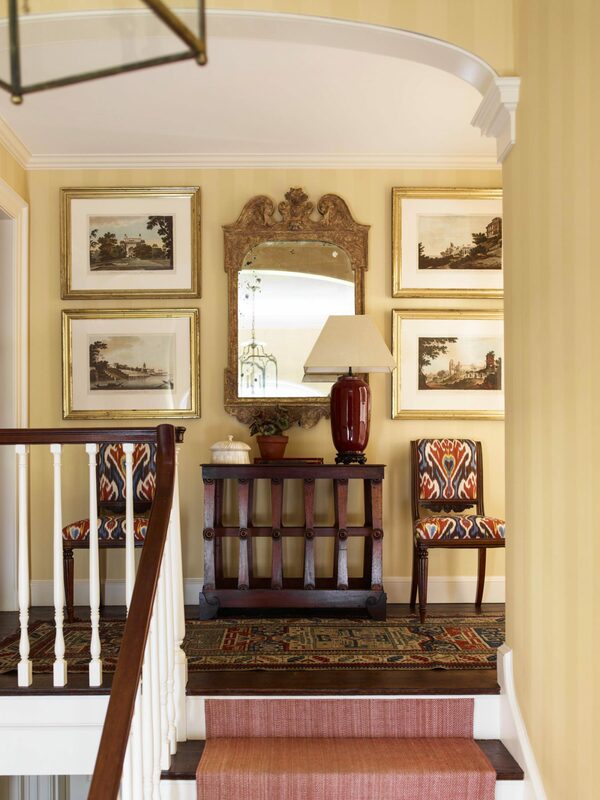 But as is often the way with old houses, the clients soon fell in love with the charm and quirks of this 1930s Colonial Revival. Our intensive restoration involved taking the house apart completely, salvaging as much of the original as possible, and putting it back together, keeping true to the original residence while making contemporary improvements. We created two distinct entry terraces, reconfigured some of the interior spaces to better suit the clients daily lives, and added windows and French doors to bring in light and views of the lush gardens beyond. The homeowners love to travel and their collections of objects, textiles, and furniture are seen throughout the interiors, which we designed. 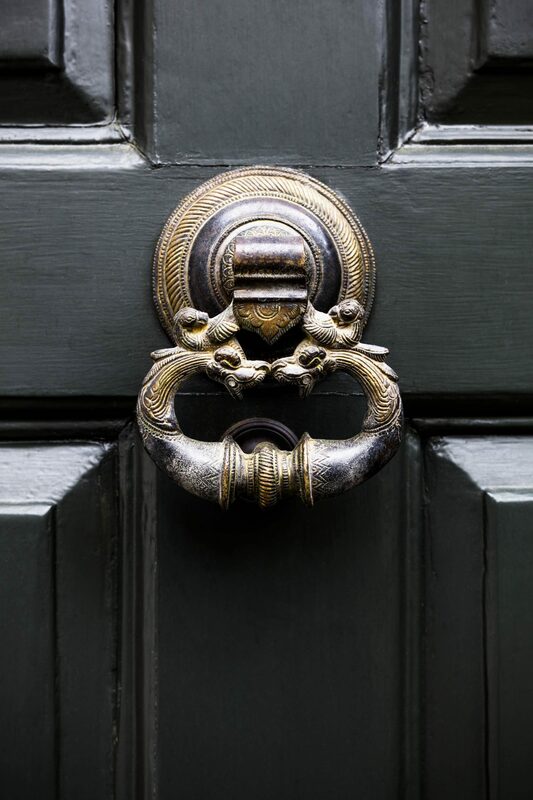 The extraordinary doorknocker, which so perfectly suits the house, was found by our clients on one of their trips to Asia and adds the perfect, personal touch. Over the years, the house had become disengaged from the extensive landscape and so we designed a series of garden rooms that connect to various entries around the house, bringing in a sense of nature throughout. One of the most charming details of the property is the man-made swimming pond, which is fed by a stream on the property.